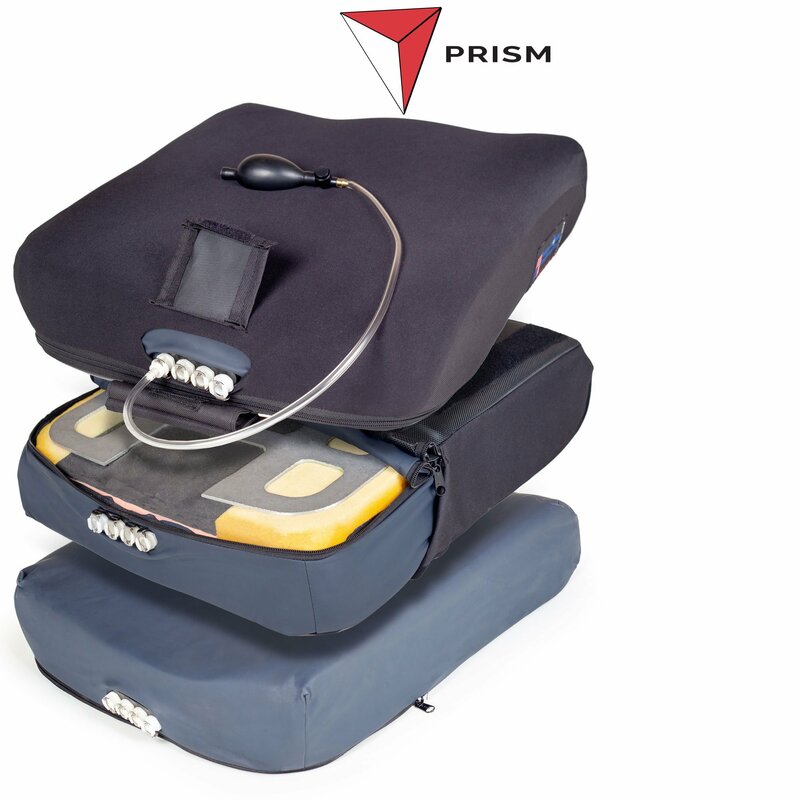 The Prism Supreme Air Cushion™ was designed for users that require moderate postural support and adjustability. 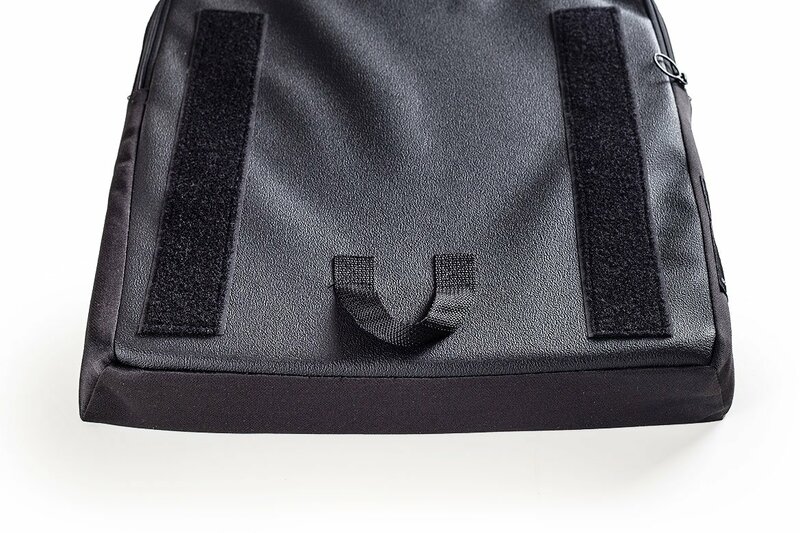 Air pockets offer contour adjustment and pressure distribution relief. 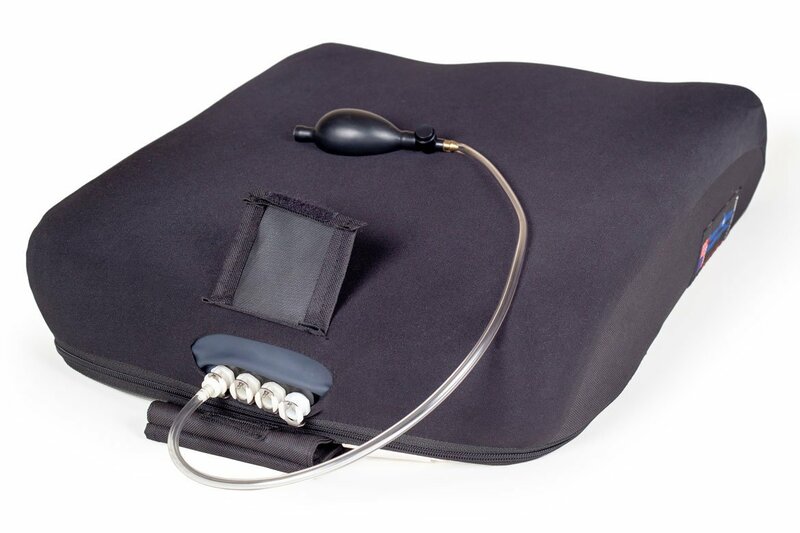 A top layer of soft, comfortable visco foam, along with 2 layers of visco and medium density polyurethane foam, and a third poly foam membrane offer pressure distribution and relief. 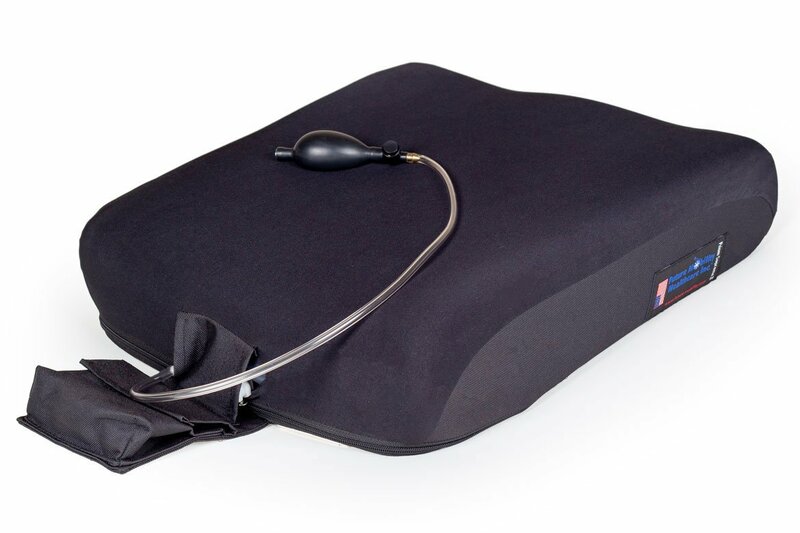 The Infection Control Cover (ICC)™ is designed as a Bio-Resistant cover for end users with incontinence issues, skin infections, and other surface transmitted contagions. 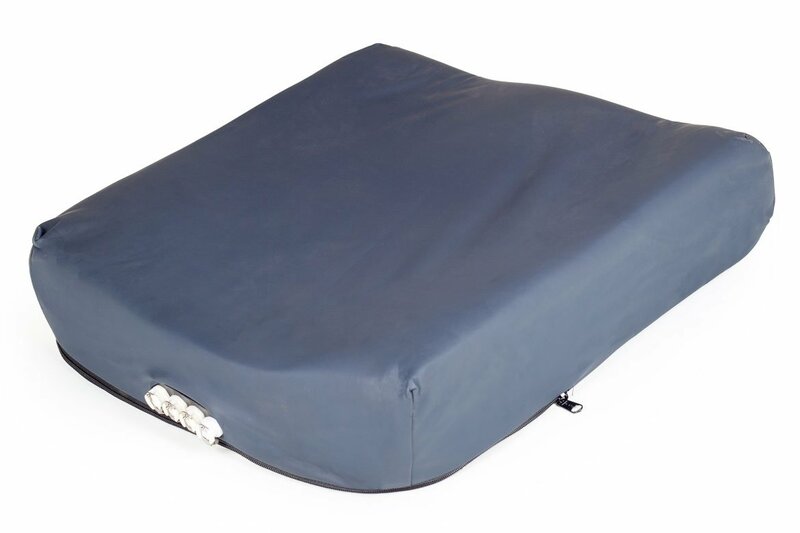 This cover helps maintain the longevity of the cushion, as it does not allow water to penetrate the foam. This Low Density Medium-Firm Polyurethane Contour Foam is for positioning and Energy Absorption. All our foams are chemically inert without blowing agent residues, and with a uniform cell structure. They are: Latex-free, non-toxic, hypoallergenic, and low odor. This low density ultra-light, ultra-durable foam provides not only, bio-resistance to the cushions, but helps support their strength, durability, and structure. Similar to the foam used in Exercise mats, this LD24 UL Foam is extremely durable, resists infectious diseases, and water penetration. Like all our foams the LD24 UL is chemically inert without blowing agent residues and with a uniform cell structure. They are: Latex-free, non-toxic, hypoallergenic, and low odor. The Waterfall Edge was designed with comfort and function in mind. Comfort for the end user, in reduced seating pressure under the thighs, and for function in active users who prefer foot propulsion. Future Mobility incorporated this design in all of our cushions so that anyone can use our cushions with maximum comfort. Our memory foam comes in two recovery versions. Slow and medium recovery. 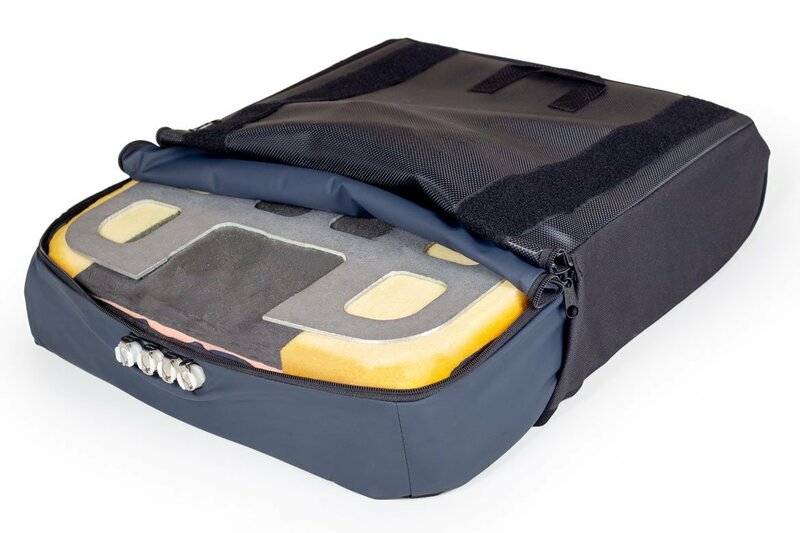 The combination of these two recovery layers allows us to re-distribute pressure spots more evenly and helps keep the end user’s position more effectively, depending on the cushion. With some, there is more recovery on the lateral portions and with others more recovery between the buttocks.